Negotiation skills are critical to be successful in life. Whether your negotiating with a toddler, or an important prospect for your firm, knowing how to reach a win-win scenario takes skill. Conducting a successful negotiation requires six major skills—and those skills are really based on the principles of improvisation. Take your ego off the table. To succeed in negotiations, we need to take the egos off the table and drop our agendas long enough to truly listen—and with respect for all involved. Don’t come in assuming you have the right answer. Negotiation is an activity between you and another person – not you and yourself. This goes right along with the previous principle of taking your ego off the table. Take the time to learn about who you’re negotiating with. What is important to them? What are they trying to accomplish in negotiating with you? Doing this will help you come to the negotiation prepared to comprise, and feel good about it. Be in the moment (focus). As I have stressed in other posts, it is important to be committed to the moment you are in. As an actor, if I’m asked to be a tree – well, I’d better commit to being a pretty great tree. The same goes for your negotiation. Come prepared, come willing to listen to the other party and be prepared for the unexpected. You can only do these things if you are focused and committed to the moment. Listen to the other party’s needs and wants. 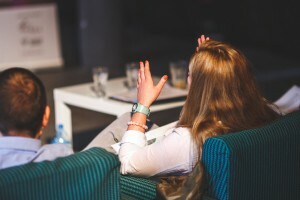 In a previous post, I wrote about the importance of listening to understand, not to respond. Of all the situations where that is important – this would be one of them. And remember, this is not just listening with your ears, but with your eyes. Especially important in negotiations is the ability to read emotions and feelings of those involved. Listening, watching, and understanding what the other party needs and wants will help you respond effectively. You’ve done your research on all the different possible arguments against your position, you’ve studied out and tried to understand the party you’re negotiating with and you are committed to the moment, you should automatically be a shoe-in to “win” – or get what you want from the negotiation, right? Well, maybe – but you still don’t know what exactly the other party wants, which is why listening is so important so that you can then ADAPT to any unforeseeable changes. It’s just a fact of life, things are unpredictable. So as paradoxical as it sounds, try to prepare yourself for the unexpected – be focused on the moment and go with it as it comes, being confident that you’ve put in the effort to be prepared as much as possible. When you do your homework and are able to identify the possible “yes, but…” statements that will most likely be made, you can create strategies to provide “yes, ands…” for each of those concerns. By recognizing a potential objective, you can create a solution that diffuses the issue. 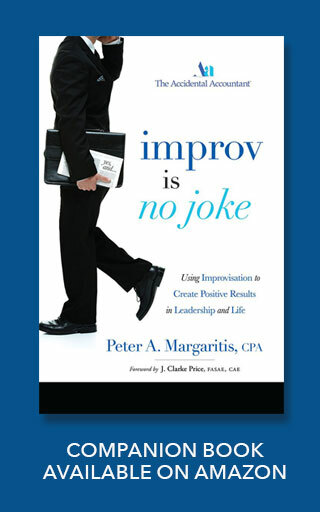 Learn more about how you can leverage improv to improve your career and future negotiations – visit www.improvisnojoke.com today and download a free chapter of my book, Improv is No Joke. Ask yourself this question, and try to answer honestly: do you listen to respond, or do you listen to understand? When someone is talking, how often are you not really listening but rather just waiting for your chance to say what you know? How often are you thinking, “hurry up and finish, I’ve got something profound to say.” You’re not alone. The key to improvisation is listening to understand. When you’re not listening to those around you, how can you respond in a way that truly adds value to the interaction? 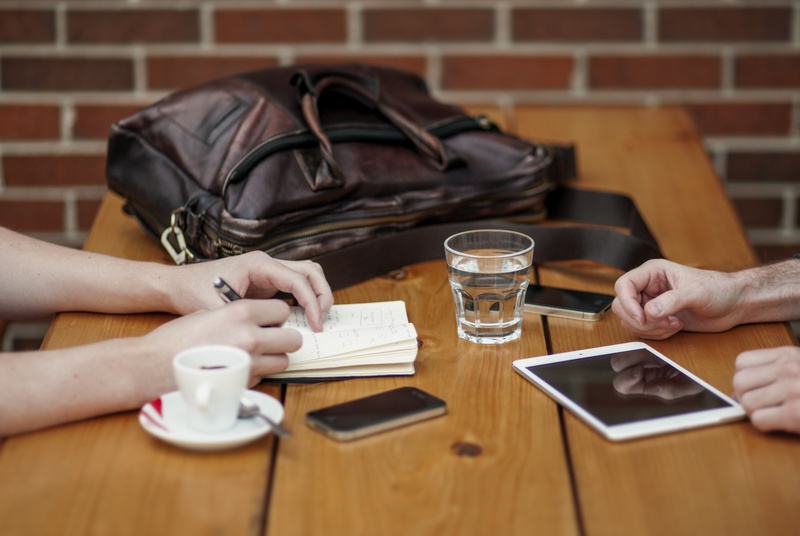 It’s the same no matter the situation, a client meeting, speaking with your spouse, or meeting someone new – in each of these interactions we have a choice in how we’re going to engage. 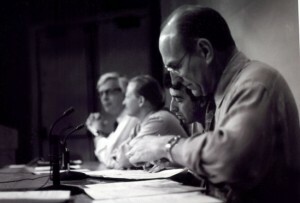 A common game used to develop improvisational listening skills is called “Mr. Know-It-All.” It helps people drop their agenda, listen, and focus—to be in the moment. I sometimes introduce this game in my presentations by asking for three volunteers to sit up front and face the audience. “Together, these people are Mr. Know-It-All,” I’ll say, “and can answer any question—but just one word at time.” To demonstrate, I’ll ask something like: “Why is the sky blue?” I’ll turn to the first person, then the next¸ and the next – each providing a word as they attempt to construct a sentence to answer the question. Inevitably, each volunteer has formed some kind of plan – or agenda – in their mind for how they want to answer. However, when the player before them doesn’t say something that fits their agenda they get flustered and have to scramble for a response. There’s a strong desire for us to not make ourselves look dumb; you don’t want to be caught unaware. As a result, you come up with a script or an idea before the person in front of you has even finished – or started in some cases! However, contrary to what you may be thinking, when you allow yourself to listen, you’ll naturally respond appropriately. When the volunteers in the Know-It-All game let go and just listen to what the other person says, and then build off of it to make the sentence as accurate – it always works, and is often pretty funny. They begin to listen to understand, not just to respond. They drop their agendas. They stop trying to control how they want this thing to go. It’s hard, we all want to be heard, we all have a desire to be important. Listening to understand forces you to put your agenda aside, listen to what the other person is saying, and pause to gather your thoughts or let the other person reflect is listening to understand. And wouldn’t you know…the person you’re talking with feels understood, appreciated and is more likely to engage further. 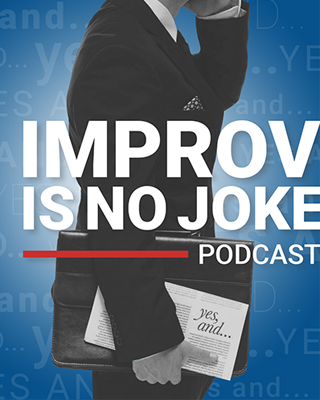 Learn more about how listening to understand, as well as other improve principles, can improve your career by visiting www.improvisnojoke.com where you can download a free chapter of my book, Improv is No Joke. 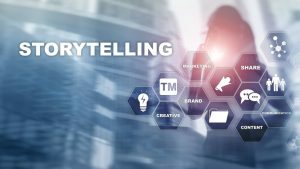 Business Innovators Magazine hosts regular interviews with the most innovative leaders in business on their radio show to feature industry influencers and trendsetters. Andy Curry, a bestselling author, multiple business owner, and contributor for CNN who covers topics such as successful business innovators and entrepreneurs in Business, Health, Finance, and Personal Development was gracious to host me a few weeks ago. We talked at length (20 minute podcast here) on how improvisation creates positive results in leadership and in life. It is no surprise that technology is constantly changing the way jobs get done. For accounting professionals, our soft skills development is necessary for creating new business opportunities and ensuring we are keeping up with the times. Forming and growing relationships is important for any finance professional. I ask all the time, “what business are we in?” And all the time I get answers like, “accounting” or “finance”. Yes, we provide a very important service, but behind those numbers are very real parts to a person’s life. When we take the language of business and state it in a way that clients can better understand, we begin to make better connections. And we do that by using the principles of improvisation. Technical skills are important, very important. But if we don’t know how to go about relating to the people behind the numbers, we are selling ourselves short and leaving clients frustrated. The principles of improvisation, when we respect the clients, truly listen to them, focus on what goals they are wanting to achieve, and adapt to that, we are able to grow the relationship because we have found a way to bridge that communication gap that accounting jargon creates. To learn more, Download a free chapter from my new book, Improv Is No Joke or email me at Peter@theaccidentalaccountant.com and I will come to you for your next speaking engagement. There is no focused direction. It is a complex way of saying something vague. You might think that you sound smarter, but it can be difficult for your team to understand what you’re trying to convey. No one has any direction on next steps to take, priorities, or goals. When Warren Buffet sits down to write his letter to his shareholders each year, he writes as if he was speaking to his sisters in language they would understand. When leaders begin to speak in simpler and more precise terms, we can see the path to growth. Are you ready to launch the course of the general conversation in the workplace towards more positive results? Download a free chapter from my new book, Improv Is No Joke to catch the vision of speaking in simpler terms or I can come speak at your next event.